You only have to read the visitors books in any of the Los Olivos apartments to find out why this community is probably the most popular of all the areas in La Manga Club. Located a stones throw from the Tennis Centre with all its facilities and within easy walking distance of restaurants, bars and shops, there are many visitors staying in Los Olivos who do not even find the need to rent a car! The community offers two outdoor swimming pools and an indoor heated swimming pool for all year round use, a great bonus at the early part of the year before the sun has warmed up the outdoor pool facilities. There is also a Jacuzzi and Owners Gym. 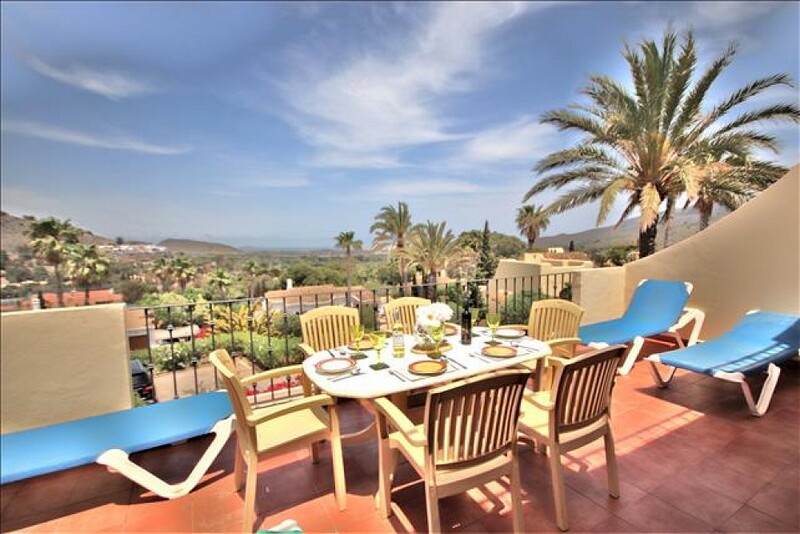 This apartment has three double bedrooms and two large bathrooms, a fully fitted kitchen and built in barbeque with lovely views from the terrace to the Mar Menor and the Mediterranean.